At 30 years old, Alex Smith has become a major player in federal policy in the fight to end HIV and AIDS. But his fight has been a long journey. “I’ve been volunteering for [HIV causes] as long as I can remember,” he recalls. “Shortly after I was diagnosed in 2011, I struggled with what to do: go on about my life in banking and communications and keep my diagnosis to myself, or lean into my diagnosis, shed my shame, and do something.” He chose the latter. Though “nervous and unsure,” he opened up about his diagnosis and joined a program at AIDS Alabama geared toward building the policy and advocacy skills of people living with HIV. “Through my work and growth with this inspiring group of leaders, it became clear that policy was my passion,” Smith says. In 2017, he departed AIDS Alabama to serve as executive director for Equality Alabama. 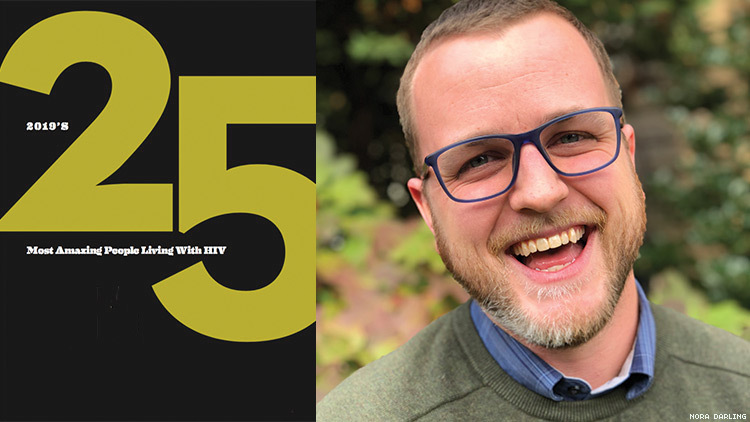 In May 2018, Smith was appointed as AIDS United’s new senior policy manager in D.C. where he assists in the analysis, development, and implementation of policies that will help end HIV in the U.S., including access to prevention and treatment services for the most marginalized communities. “Sound public policy — coupled with the meaningful involvement of people living with HIV and other marginalized persons — is one of the greatest tools we have in our response to HIV,” says Smith, warning that the topic should not be over-politicized. These days, when he’s not changing the world for the better, Smith spends his free time participating in the D.C. area’s Stonewall Sports league, or cooking, traveling, and spending time with husband Michael and their three dogs.